Norm Hayden is a cradle Catholic from Louisville, KY, graduating from St. Athanasius Elementary School, St. Xavier High School, and the University of Louisville. Norm graduated from Western Kentucky University with a Master of Social Work degree. Norm's family are members here at Blessed Mother Church. 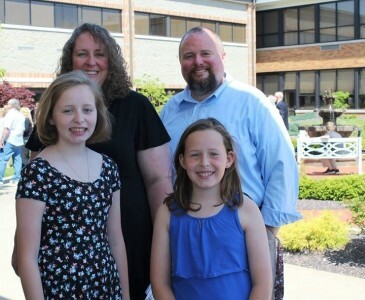 He serves as a Lector, his wife, Katina Hayden as an Extraordinary Minister of Holy Communion, and his daughters, Jolee and Charly, as alter servers, active in the Youth Group, and are a product of the Religious Education Program here at the Parish. Norm looks forward to sharing his love of Scripture, and prays that you all be filled with Joy.